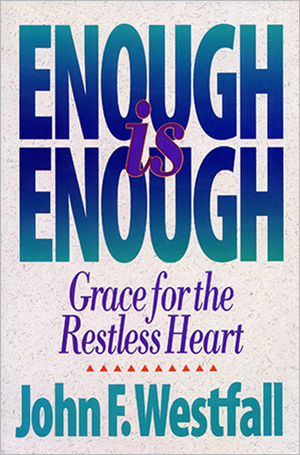 John gives voice to the anxiety and discontent of many Christians of the Baby-boom generation in Enough Is Enough. Through a charming and refreshingly honest exploration of his own life and the lives of those around him, he discovers the key to true fulfillment: the grace of God. "A one-word description of God is 'grace.' A one-word description of this book is 'great.' Read it! It will change your life." "With unusual perception, clarity, and winsomeness, John Westfall has offered us a celebration of God's grace. There is no greater theme, and we have no larger need."